easter | Sew Lindsay, Sew! After posting ten inspirational Easter tutorials last week, I wanted to actually make one of the projects I showcased. My only rule was that I had to be resourceful and only use supplies that I already had on hand. For awhile now, I’ve felt completely overwhelmed by the amount of fabric and supplies that I already have. I have to draw the line somewhere. No more! 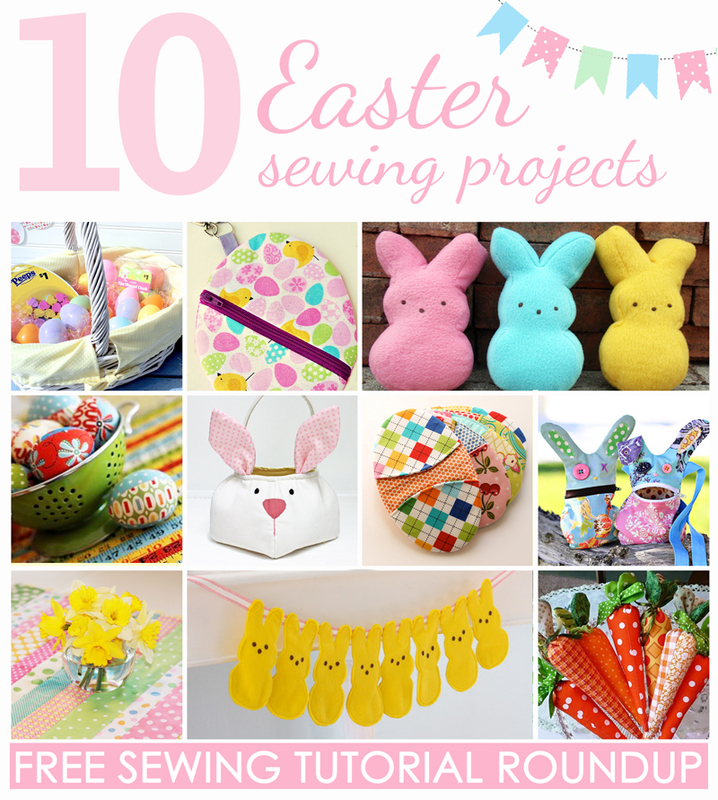 Ten Easter sewing projects: free tutorial roundup! Spring is here! I wish I could say that I’m spending time outside today, but the pollen count is so high in Florida right now that I’m stuck inside taking allergy meds. Yuck. But this springtime weather has me feeling inspired, so I’ve raided my Pinterest boards and pulled out ten of my favorite Easter-inspired projects for this free tutorial roundup! Scroll down for links to all of the projects shown below. Did you know I love sheep? Well, I do. I can’t really explain why – it’s just one of those things – but I love sheep in all forms: pictures of sheep, plush sheep, edibles that use marshmallows to look like sheep, the real sheep that “baa” and even sheep measuring cups. Maybe you thought I was kidding about the measuring cups. I know, the sheep thing is a little weird, but so am I. My loved ones are kind enough to just embrace it! I have a steadily-growing plush sheep collection above my desk at work, and more than half of those sheep have come from my family and friends. So imagine how excited I was to stumble across this Little Lamb Pillow tutorial at The Purl Bee – and just in time for Easter! Magical, right? I love the way the wavy cutting lends itself to the lamb’s “wool.” Can’t wait to try these out! Do you have a strange favorite animal, too? Or am I the only one?